One of the best shot in West Sumatera. Not yet publicly announce, but it is worthed a visit. 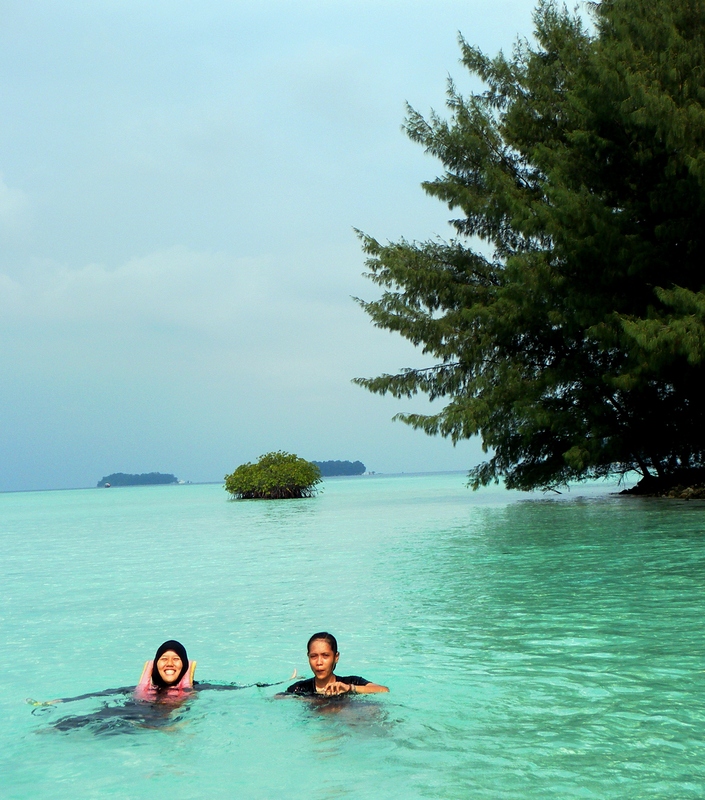 This island located one hour tour from Padang Beach using a boat. It is a passenger boat which could bring in around 100 peoples. In summer the waves would be more gentle than if you crossing it in winter. But all the way down there was worthed for that little island, called Sikuai. We can reach Sikuai with several way. I choose the one day package that cost me 125k (back than in 2008). The other package may provide a two day 1 night or 3 day and 2 night accomodation. But i guess, with one full day, its quite enough of experience but we should ungrudgingly loose the sunset and sunrise. The boat start to sail around 10am in the morning and then get back to the harbour around 5pm in the afternoon. Well actually, we was enjoying the sunset from the rooftop of our boat. It was nice, still. The first time we landed in the island, it was really quite. Seems like there is no civilization in there. Some are tourist from foreign and domestics who already been there since the day before. There are alot of cottage which located so near the beach around 5 meter long. So if you feel like wanna swim or suddenly feel tired and gotta sleep, its all need no more than 5 minutes to move. The coconut trees all over the beach make it even more beautiful. On the right side of the little harbour where my boat put down its anchor looks like a rough beach where there are alot of died coral along the beach. The water still pure but it has almost green color since there are some seaweed patched to the dead coral. Not many fishes swim around this place. But considering the background of neat coconut trees and some other big one, it still is a perfect place to take a shoot. On the left is a smoother beach. People mostly play in here. The sand is so soft and wishy washy and you can built a strong sand castle with it. The shore also slope slightly and it is save to swim in here. Many pretty fishes can be found here too. But if you would like to see more, you can reach a little far where the coral and fish combination might make you feel like in a fairytale. They are hiring out snorkeling set, bicycle, motor cycle, canoe, and also provide water sport activities like banana boat and kayak. We satisfied to play in the fresh water and smooth beach. Kids are laugh and smile emitted from their little face. Walking a little far to our left, we will found some quite place with big rocks, but not giant one. It decorate the shore just like a gift from heaven. We can take some pictures in here too, and play with some little sea animal. There are little crab, shrimp, prawn, and also shells.